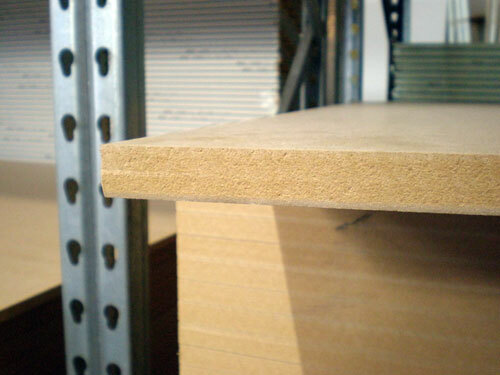 Fibreboard is made with low-grade pine wood, which is chipped and then further reduced to fibres. Hardboard and insulation board is manufactured from wet fibres that are pressed together. Medium-density fibreboard is a composite of dry wood fibres that have been mixed with resin and pressed into boards.